The panel bar layout can be customized through separators. 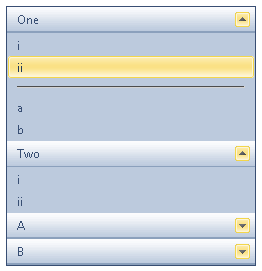 Use separators for visually grouping items into two or more categories. You can also use them to achieve cosmetic effects.